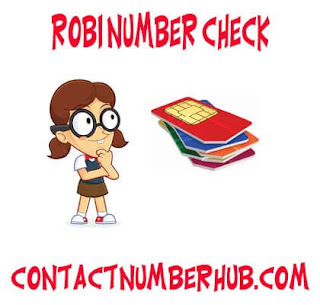 How to Check Robi Number – Robi Number Checking USSD codes are right here! If you are looking for the USSD code to check Robi number, you are at the right place. This content is regarding to how to check Robi number. You will learn the way of Robi number check along with many more essential USSD codes that are important for daily life to use a Robi SIM. Before getting the USSD codes we are going to learn a brief about Robi mobile operator. Formerly known as Aktel, Robi Axiata Limited, is one of the largest mobile operators in Bangladesh and the second biggest cellular company in the country. Robi is the first mobile operator to initiate 3.5G and GPRS services across the country. It also initiates the first kind digital services investing heavily with mobile financial services for the rural and semi-rural urban areas. This a joint company between Axiata Group of Malaysia, Airtel Limited of India and NTT DoCoMo of Japan. Its partners’ percentages are as - Axiata holds 68.7%, Bharti holds 25% and 6.3% is held by NTT DOCOMO. The first merger Bangladesh telecom company Robi gets merged with Airtel on 16th November, 2016. After of merging the companies, they are known as the Robi Axiata Limited. The company was started its operation in Bangladesh in 1997 as ‘Aktel’ with Telekom Malaysia International. It has changed its name as ‘Robi’ in 2010 with Robi Axiata Limited. This all are regarding to how to check Robi number with USSD code: *140*2*4#. You will learn the way of Robi number check along with many more essential USSD codes that are important for daily life to use a Robi SIM.